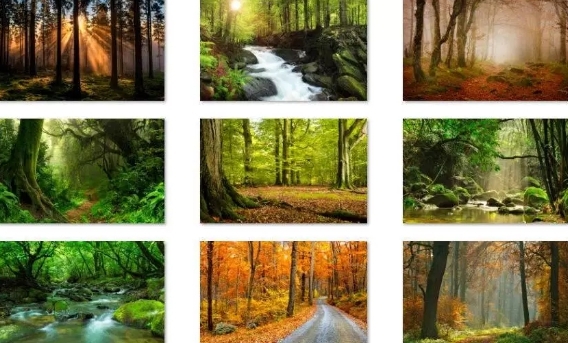 Fans of nature who also happen to use a Windows device can download this amazing new theme named Forest For The Trees Theme for Windows 10 PC & Laptop. See nature in an entirely new way in these spectacular images taken from rarely seen forests around the world. Forest For The Trees Theme has a bunch of full HD wallpapers that give you a glimpse of amazing beauty of dense forests with mesmerizing trees and the lovely scenery of autumn in the forest. This Forest For The Trees Windows 10 Theme gives a sense of relaxation after a hard work’s day at the office or during the busy hours when you are working tirelessly on computer and then you see this theme on desktop or laptop screen to get a refreshing feeling and to soothe your nerves. 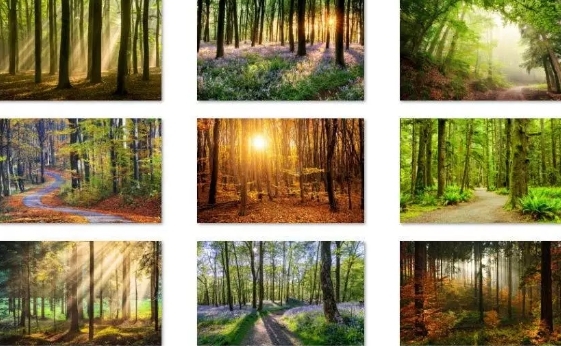 You can download full theme with all HD wallpapers of amazing forests from around the world from the direct link below. Download this Windows 10 Theme free and set it as main desktop background theme. Enjoy the beauty of magical wildflowers, and shades of green in these wallpapers for Windows 10. Note: This theme is compatible with the Windows 10 Creators Update or later, and will soon be available only from the Windows Store as Microsoft is considering closing download its theme download page on the website. So download it now before its taken down from the web servers.